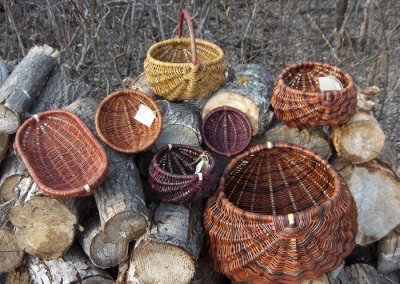 Morley lives and farms near Yorkton, Saskatchewan. 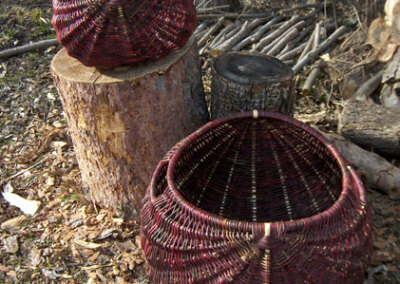 He has been making willow baskets for about 15 years. 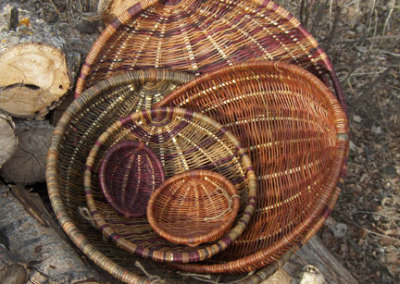 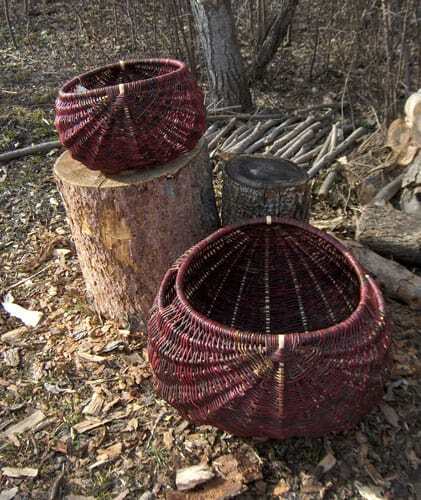 The baskets he makes are the tradional ribbed baskets that were originally made by Aboriginal people and Ukrainian/European settlers around Yorkton and wherever materials were available. 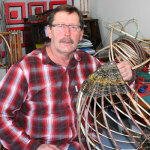 This historical and cultural connection is important to Morley and is intentionally reflected in the work that he does. 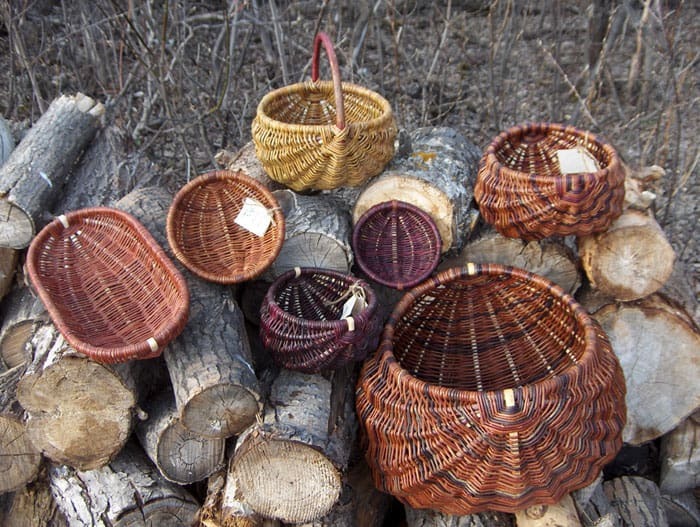 Morley enjoys teaching the skills of basketry and has for several years been an instructor for the University of Saskatchewan at their Emma Lake Kenderdine Campus. Morley and fellow basket maker Shelly Westberg have had the honor of providing baskets for the Lieutenant Governor of Saskatchewan to give as gifts from the province to various heads of state and other dignitaries from Canada and many other countries around the world. 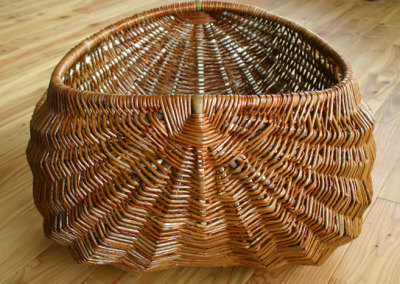 Included in the list of recipients is Her Majesty Queen Elizabeth II. 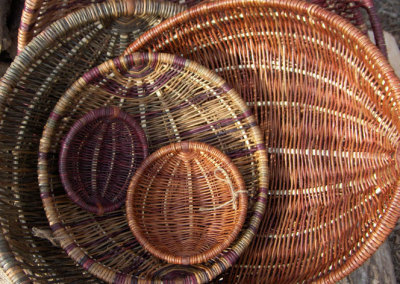 Morley’s work has twice been selected to be part of “Dimensions”, the Saskatchewan Craft Council’s touring Fine Craft Exhibition. 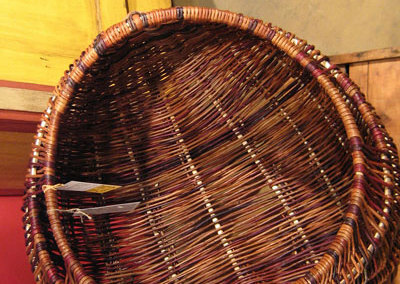 He has also received two SCC awards; the Merit Award and the Award for Excellence in Functional and Production Ware. 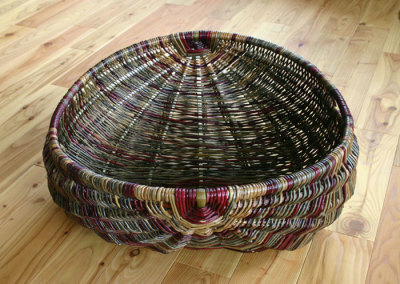 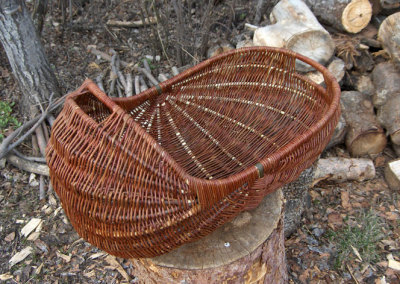 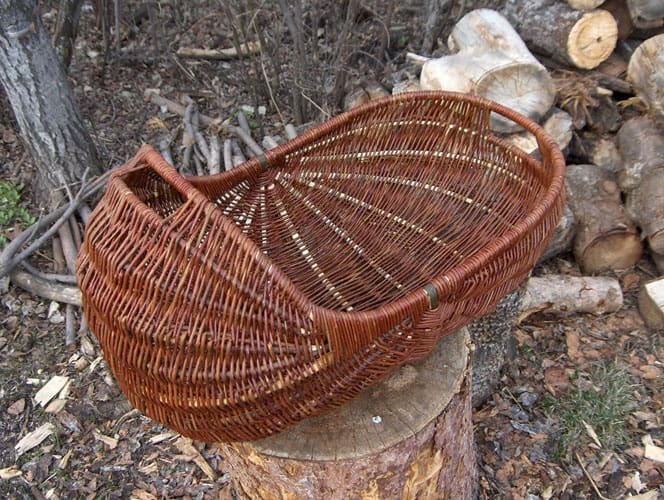 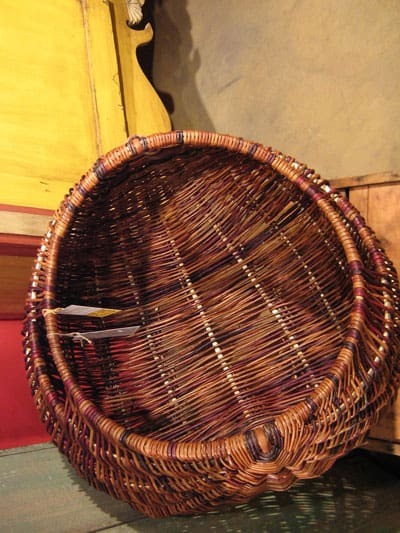 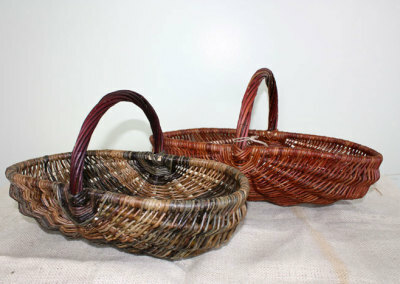 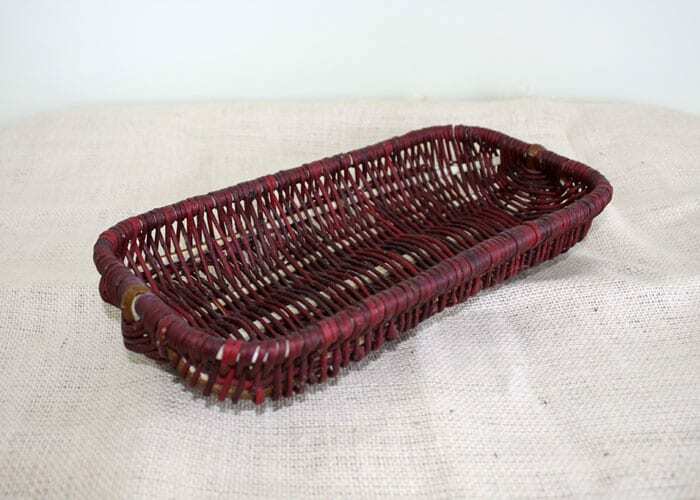 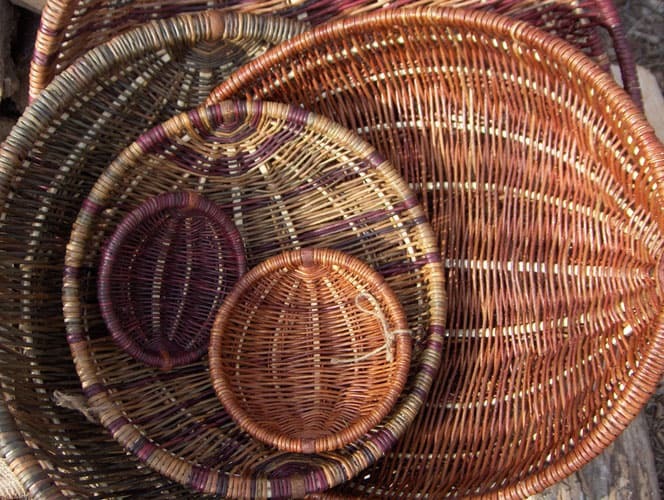 My preference is to make baskets that can be used as they were first intended; as containers to carry or store things. 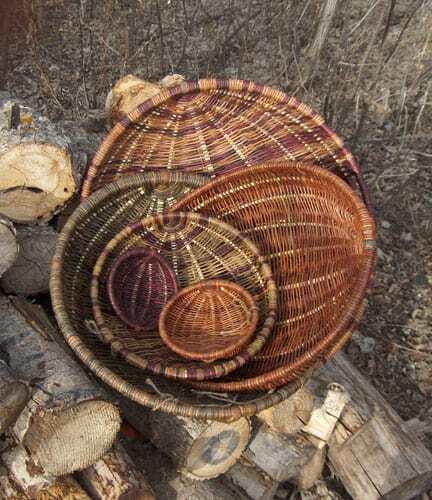 While some of the baskets I make might be considered decorative, most are “working” baskets that most people will actually use. 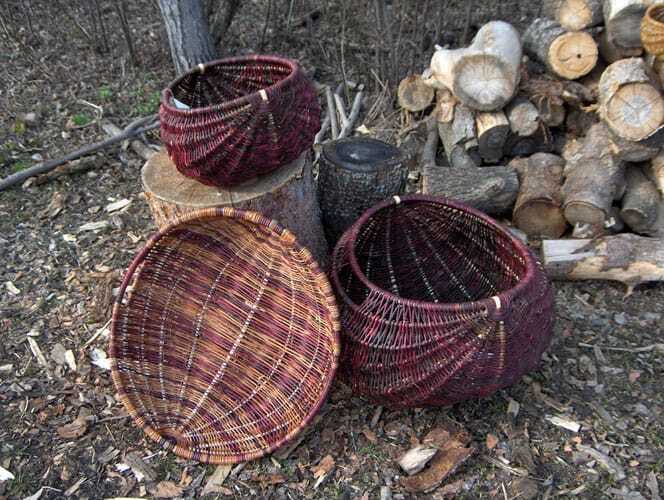 I hope that the baskets I make reflect and respect the history and traditions of willow basketry in our province. 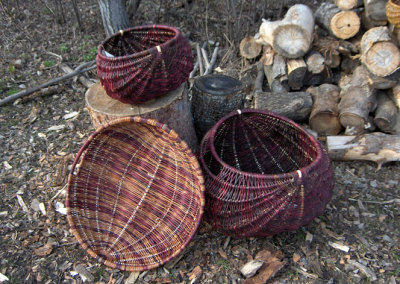 Most people would agree that there is a rustic natural quality to willow baskets that they find instinctively warm and appealing. 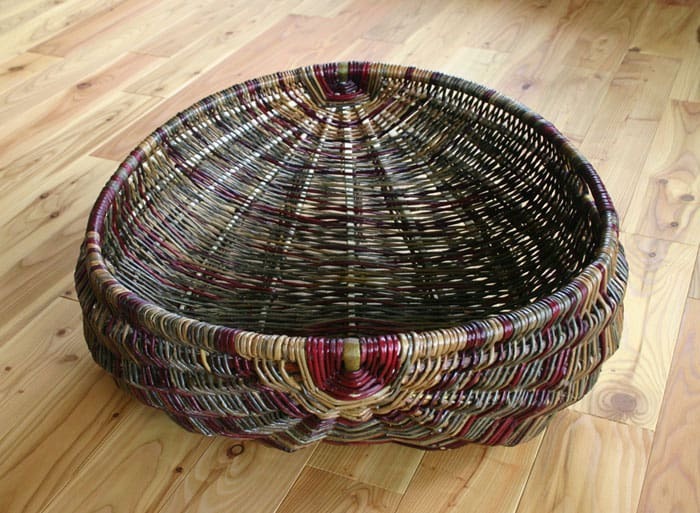 I try not to do things with my baskets that would interfere with that.